Adding fence slats is a great way to beautify your chain link fence. The chain link fence is one of the most versatile and popular types of fencing out there, even though it does not necessarily ooze curb appeal. While newer chain link fence is manufactured to be more colorful and stylish, this will not help you when it comes to sprucing up a preexisting fence. 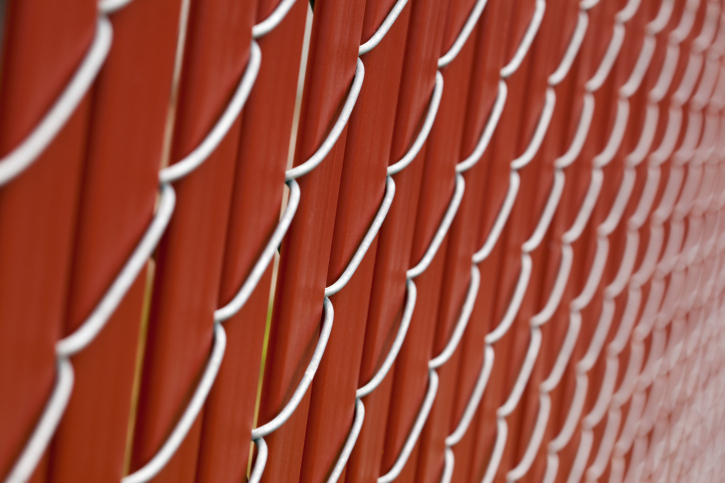 Keep these tips in mind if you would like to brighten up an old chain link fence. 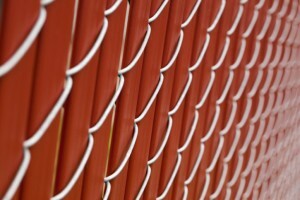 This is the quickest and cheapest way to add curb appeal to your chain link fence. As long as your fence is not vinyl-coated, this will be a quick and easy DIY job. Choosing a shade such a black, brown, or dark green will help it blend into the background. These spruce up your chain link fence with the added benefit of privacy, making them ideal for residential fences. Fence slats are long pieces of aluminum, polyethylene, or wood that you can insert into the fence vertically, horizontally, or diagonally, depending upon the look you wish to achieve. They come in a variety of colors and are easy to install. cane bamboo, willow, stick, reed, and dwarf pine. This option can be expensive and not as long lasting, but that depends entirely on the type of material you choose. It will do wonders for your home’s curb appeal. This entry was posted on Monday, January 25th, 2016 at 10:10 pm. Both comments and pings are currently closed.